Looking for ideas that just might spark a PBL math idea? Three Act Math Tasks – This is a wonderful collection of Math Tasks made to help students really understand Math by Dan Meyer and others. Desmos – Their mission is to help every student learn math and love learning math. We accomplish that goal by building products and partnerships. Check out a best-in-class HTML5 Desmos graphing calculator, which millions of students around the world use for free, including students who are blind or visually-impaired. Discover hundreds of digital activities. Geogebra – Get this free online math tools for graphing, geometry, 3D, and more! Estimation 180 – A site created to build number sense one day at a time. You will find all kinds of ideas and lessons. Rich Math Tasks – This site from the UK has some amazing math tasks that will be sure to engage your students and promote math understanding. NZ Math – These rich learning Math ideas come from New Zealand. They represent both the procedural and conceptual approach. TedEd – The makers of TED… these really are some wonderful flipped lessons with formative tools built in. These are definite lessons worth sharing! You can even make your own. CK12 – Not only are the free flexbooks amazing you will also find simulations, PLIX, and Adaptive Practice This is an organization raising the bar with interactive learning activities and practice that adapts to individual student performance. Khan Academy – Help every student succeed with personalized practice. 100% free. NRICH – The NRICH Project aims to enrich the mathematical experiences of all learners. To support this aim, members of the NRICH team work in a wide range of capacities, including providing professional development for teachers wishing to embed rich mathematical tasks into everyday classroom practice. Illuminations – Illuminations works to serve you by increasing access to quality standards-based resources for teaching and learning mathematics, including interactive tools for students and instructional support for teachers. CanFigureIt – Created by teachers, this highly interactive tool provides an easy-to-use work space where students can practice proofs while exercising their deductive reasoning muscles. Hub Page – This page contains some great PBL ideas in the area of math. Once you visit be prepared to stay awhile. Less Helpful Math – Great blog filled with engaging and real world resources. The author Dan Meyer provides out of the textbook ideas that will make math authentic. Share My Lessons – Welcome to a place where educators come together to create and share their very best teaching resources. It was created by teachers for teachers. It is a free platform giving access to high-quality teaching resources. It provides an online community where teachers can collaborate with, encourage and inspire each other. PBL Pathways – This is a website dedicated to Math and PBL. In the supplied link you are directed to the PBL Projects. Here you will discover some project ideas covering many areas of advanced math. Each is a complete project that you may wish to include. Please be sure to read their Terms of Copyright Statement when using the materials. Plus Magazine – That is right… it is a magazine. Another plus… it is free. Most important it is all about the world of Math. This is a wonderful resource that will bring the authentic world of math to your students. Stories and activities can be a scaffold in a PBL Unit or possibly the catalyst for an entire project. This is one that I could have spent an entire post on. Mathematics, Learning, and Web 2.0 – “Mathematics, Learning, and Web 2.0” is written by Colleen Young. Her posts provide thoughts and ideas in a very math practical manner. 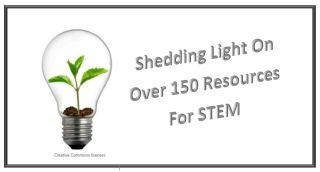 It is a wonderful blog that will allow any math teacher to dream up a new PBL, or scaffold an activity inside an existing project!. Not only that… it is just wonderful reading… so enjoy! SAS Curriculum Pathways Math – While SAS contain free curriculum for many areas be sure to check out some great math possibilities all for free. PBS Learning – You will find thousands of multimedia possibilities in the math portion of the PBS site. Get ready to search! NCTM Real World Math – Visit this collection of previously published articles from Mathematics Teaching in the Middle School and Mathematics Teacher that make strong connections between mathematics and other disciplines. The articles contain activities, experiments, investigations, or problems that are appropriate for use with middle school or high school students. Many of the articles can be adapted for use with students at different grade levels or in different kinds of courses. Education World – Check out this article filled with online collections of real-world math activities, math activities with a specific real-life focus. Graphing Stories – Check out these 15 second videos and then get your students graphing! OER Commons Math – This is a large collection of online resources that are part of the open education resource field. Math Snacks – Smart educational animations, games, and interactive tools that help mid-school learners better understand math concepts. WolframAlpha – This is an amazing search engine based on data and mathematics. If you think the search engine is amazing then check out their educational site. There are some amazing resources. Gap Minder – Explore this amazing world of data. Do you want to use Gapminder tools in your classroom? Check out our resources on this page and the downloads page to get started. You are free to use them today in your classroom! Math Lessons – this site has some great lessons by Robert Kaplinsky. Make your own PrBL with these ideas. CT4Me – This site has some awesome resources to take a look at for teachers of math. You will find all kinds of ideas including thoughts on PBL and Math. Math Hooks – The goal is to introduce challenging, inquiry-based activities to every middle school math classroom in order to foster student participation, enthusiasm and improvement through rigorous discussion. YouCubed – This site from Stanford University has a main goal to is to inspire, educate and empower teachers of mathematics, transforming the latest research on math learning into accessible and practical forms. Week for Inspirational Math – These WIM lessons have been used millions of times, in every state across the US, as well as many other countries in the world. Teachers and students love the activities and mindset videos. In previous years of WIM, 98% of teachers said their students were engaged when working on the lessons and 96% of the students surveyed said they now believe they should keep going even when work is hard and they make mistakes. And that is a wonderful thing! MAISA – Check out this data base from the state of Michigan that provides resources and lesson ideas aligned to standards. You will find rich math possibilities for students. MARS – Classroom Challenges are lessons that support teachers in formative assessment. There are 100 lessons in total, 20 at each grade from 6 to 8 and 40 for ‘Career and College Readiness’ at High School Grades 9 and above. Some lessons are focused on developing math concepts, others on solving non-routine problems.